This statement is going to cause many of you (OK, the three people who actually read this blog) to gasp in surprise, but I like grey. Have you picked yourselves up off the floor? Then I’ll go on. Admittedly, I’m usually snapped swanning around in bright colours and crazy prints, but when I need a base colour, grey is my go-to. So I was more than a little pleased to discover a merino wool cardigan for $8 at Vinnies last week. Until I noticed this. 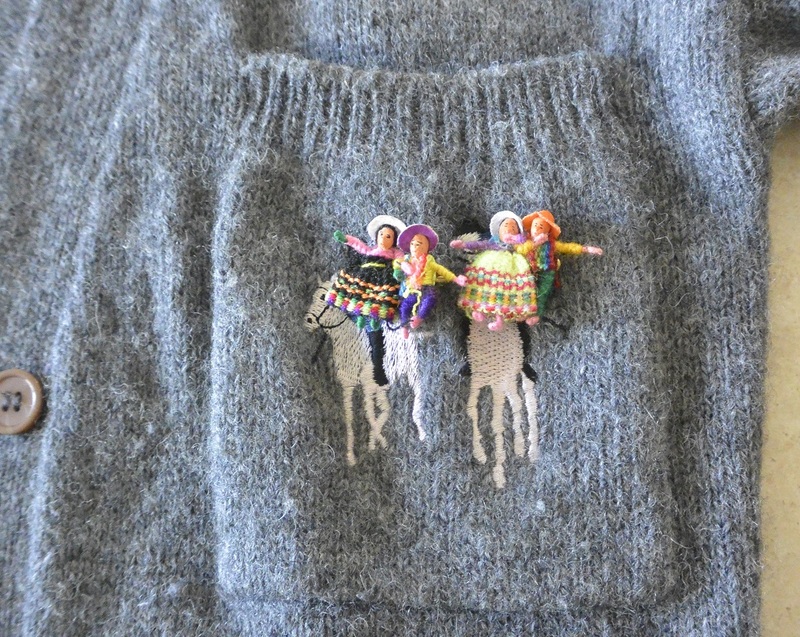 Conceal offending embroidery with brooches or badges. When this thought occurred to me, I was under the impression that I had a large number of these, including several oversized ones. However, after some unsuccessful searching (did I give them away in a pique of cleaning up? Cursed Marie Kondo…) these were two of the few still to be found in my brooch box. 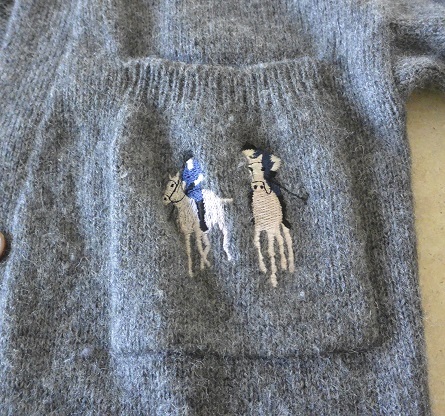 Look what happens when you use worry dolls to cover up polo players… it’s like a rodeo show has come to town. 2. 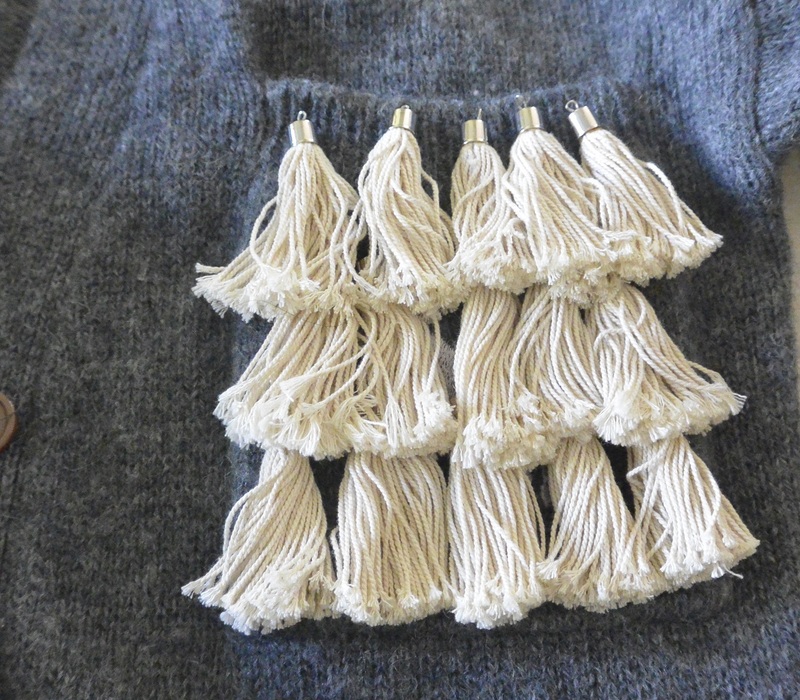 Attach rows of tassels. Easy for me to say, as I have bags full of them. This could also work with pom poms, although it would make me look like one side of my chest is much puffier and fluffier than the other. Hmm, possibly not the visual effect I’m trying to achieve. I was toying with some other ideas such as embroidering over the embroidery or sewing on some patches randomly all over the cardigan (plus other options like some of these), but it was at around this point that I realised the pocket was sewn on. So I could just unpick it! 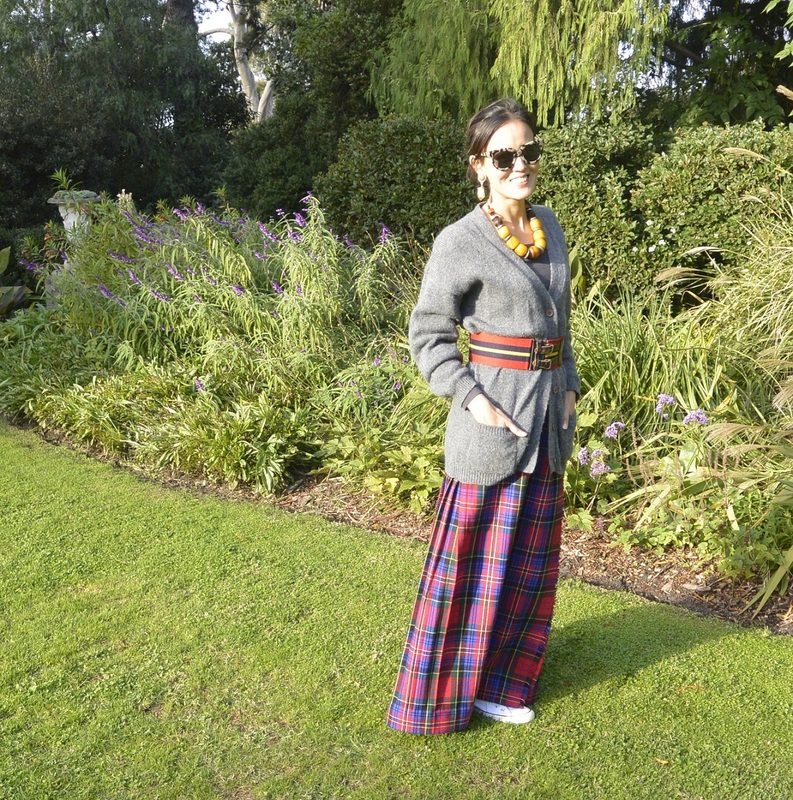 And that’s what I did, very carefully so that I wouldn’t make holes in the cardigan itself. Then I sprayed water on a cloth, placed it over the area where the pocket had been and ironed out any marks remaining from the stitches. 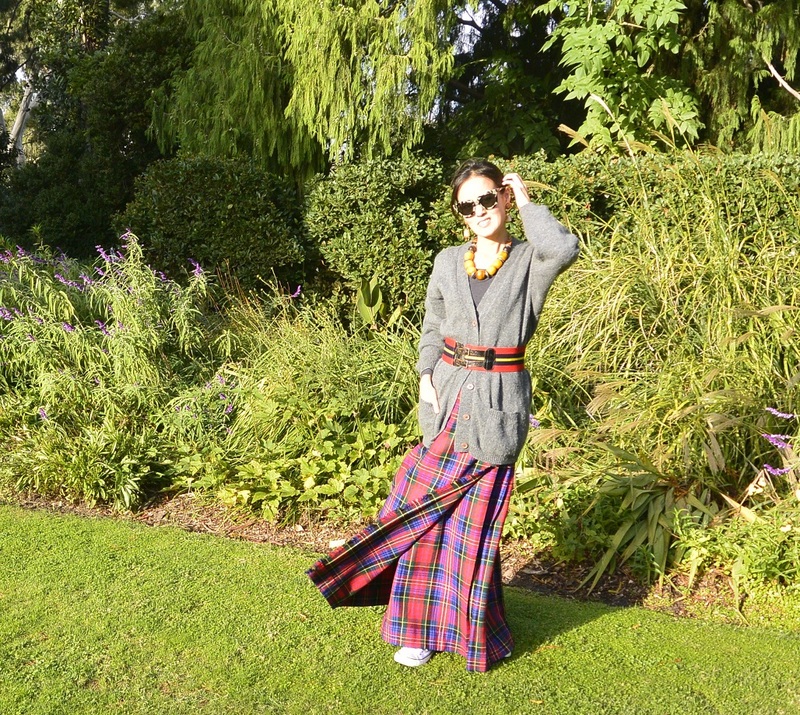 … and belted over a long kilt and sneakers to wander around Como. 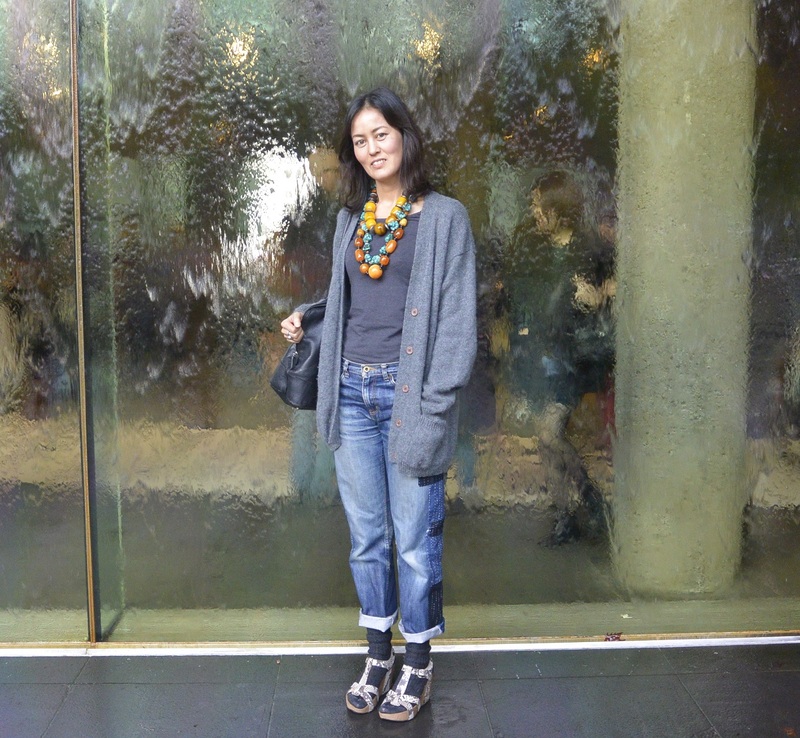 I have a feeling I’ll be wearing my new old cardigan in lots of different ways this winter. Stay tuned as I try various styling ideas! It seriously looks as though it will go with everything!